Duphalac is a man-made sugar solution used to treat constipation. It makes the stool soft and regulates bowel movement. It is also prescribed in case of hepatic coma. It is available in other brand names as Constilac, Generlac, Constulose, Kristalose, Enulose. Duphalac contains Lactulose which is a laxative and ammonia de-toxicant. It is an intestinal acidifier and acts by drawing water and increasing the bulk of the stool. By absorbing more water, the stool softens and the defecation becomes easier. Store it in a cool and dry place away from the reach of children. Keep the bottle tightly closed and inside its carton. Take it orally once every day as directed by your doctor. The initial recommended dose is 15ml once in a day. Kindly consult your doctor for your correct dose. It is not recommended for diabetics and those on low galactose diet. Use with caution in elderly as it accumulates gas in the intestines. When Duphalac should not be used? 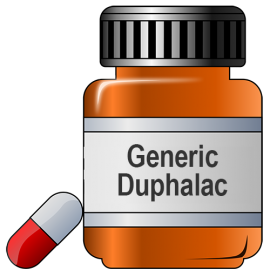 How long should you take Duphalac?